“Susan” walked into my office, shoulders slumped, clothes disheveled and hair unkempt. Eyes sunken, even the most mundane decision regarding where to sit challenged her on this day. She stumbled into a chair and, without removing her coat, proceeded to tell me how she had reached a new low in her depression. She wasn’t eating. She hadn’t left her bed except to tend to the obligatory restroom break to relieve her discomfort, but even the importance of that she debated. She looked up, her despair emanating from her sad, drawn eyes. She looked up seeking approval. “Offer her Reiki,” the voice in my head whispered. “I will not!” I replied to my internal consultant. After all, I had just received my Reiki Level 2 training the previous weekend. What if I didn’t do it right? Even though my training as a Reiki practitioner had fully prepared me to offer the ancient energy, my ego refused to get out of the way, and I continued to ignore the increasingly irritating internal prodding. “I read about something called Reiki. Do you know anything about it?” Susan asked. I almost fell out of my chair as my client continued her inquisition regarding energy psychology. My internal voice squealed with delight. Susan’s eyes, now the size of saucers, took in my brief explanation about the energy therapy and, following an informed verbal consent, I began to prepare her to receive the treatment. I had her relax and close her eyes while sitting in her chair. I told her I would offer her the subtle energy from across the room, keeping the intention for her greater good and healing. I asked her to imagine a lighted stone pathway spanning the space between my heart and hers on which a bright, golden flow of rich, healing light flowed, filling any spaces in her body that wanted to receive the energy. I prepared myself, holding the intention of healing and compassion for my client, and then, reciting the ancient symbols silently, I offered her Reiki. We sat in this quiet, contemplative space for 10 of the remaining 15 minutes of the session. I wanted to have time to debrief my client and assess her degree of despair and possible need for hospitalization. I could feel my heart leap with joy, and I began to assess Susan’s emotional pain and safety. She stated that she felt as if an enormous psychic weight had been lifted off her chest and she could finally breathe. She indicated that she actually felt hungry … famished … and was going to go home and eat for the first time in days. Although I did not feel that hospitalization was warranted for Susan, I was still apprehensive about waiting until our regularly scheduled appointment to see her again, so I scheduled her to come in the following week. Imagine my delight and surprise when Susan arrived to her appointment the following week with makeup on and hair coiffed and a list of goals that she wanted to tackle in her life. That became the first of many integrated psychotherapy sessions in which I employed Reiki. Reiki (pronounced RAY-kee) is from the Japanese words Rei, which translates to mean universal or being everywhere, and Ki, which translates to mean life energy. Reiki is believed to be spiritually guided life energy. It was developed by Mikao Usui in 1922. However, it has been practiced for thousands of years. The National Center for Complementary and Alternative Medicine (NCCAM) categorizes Reiki as an energy therapy. Reiki practitioners place their hands on or just above their clients to offer healing energy that is believed to transmit through the attuned practitioner to the client. Practitioners believe this energy to be of the purest and highest frequency of energy or “life force,” allowing the client’s body to enter a relaxed state. This relaxed state helps the body to activate its natural healing properties. Because the practitioner is channeling the energy through the body, the belief is that it does not deplete the provider and, in fact, provides healing to the healer. Initially, Usui employed Reiki with the poor in Kyoto, Japan. He then began training others to offer this energy, including a former naval officer, Chujiru Hayashi. Following the death of Usui, Hayashi opened a clinic in Tokyo and trained a Reiki patient named Madame Takata. It is Takata who is believed to be responsible for bringing Reiki to Europe and America. 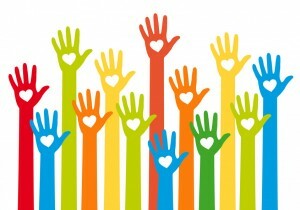 Currently, there are an estimated 50,000 Reiki masters (of which I am one) and 1 million Reiki practitioners worldwide. These providers are from a variety of clinical and nonclinical fields and include physicians, nurses, respiratory therapists, physical therapists, massage therapists and psychotherapists. Reiki is easy to learn. It does not require that one meditate, nor does it require years of study. A practitioner is able to offer Reiki following attunement by a Reiki master-teacher. There are three levels of learning in Reiki. The first level is learning to offer Reiki to oneself. The second level introduces three symbols considered to be sacred and promote a connection to the energy. Completion of Level 2 affords the title of Reiki practitioner and indicates that one is equipped to offer Reiki and distance Reiki to clients. A practitioner can be attuned in advanced Reiki to a higher frequency of energy. The master level of learning involves additional symbols and another attunement or ignition to the energy. A person is not considered a master-teacher until she or he has taught a class. Organizations such as the International Association of Reiki Professionals and the International Center for Reiki Training promote quality and standardized approaches to Reiki training. According to Eastern medicine, life energy or ki flows through the body. When this energy is compromised in some capacity, it hinders well-being. The goal of Reiki is to allow the body to be at its optimal condition for life energy to flow freely, thereby affording the opportunity for natural healing properties to occur in the body. The natural healing mechanism is promoted by helping the client to obtain a relaxed state through the laying on of hands or distance treatment and channeling the energy to the client. Records of Reiki’s use are growing as Western medicine seeks ways to provide care in a holistic manner. Reiki is currently being offered not only for management of physical pain but emotional pain as well. According to a survey conducted by Health Forum, a subsidiary of the American Hospital Association, 42 percent of the responding hospitals in the United States and 70 percent of the responding hospitals in Canada offer complementary and alternative treatments including Reiki and healing touch. Reiki is used in the treatment of anxiety, depression, trauma, stress and memory loss, as well as in palliative and oncological care. Reiki is offered in hospitals, clinics and hospice settings. For example, the Integrative Medicine Department of Memorial Sloan Kettering Hospital offers and teaches Reiki to patients and caregivers. In a 2010 study conducted by Yale University and published in the Journal of the American College of Cardiology, researchers Rachel Friedman, Matthew Burg, Pamela Miles, Forrester Lee and Rachel Lampert found that 20 minutes of Reiki significantly improved mood and variable heart rate following a heart attack. This was above and beyond control for other variables. More and more mental health professionals are seeking ways to empower clients with tools to manage their emotional and physical discomfort. Anxiety and emotional discomfort may provide information regarding behavioral and life changes that would be more healthful. Reiki allows clients to ground and be fully present in their bodies, listening to what the body, mind and soul are disclosing and manifesting as symptoms of anxiety and depression. Reiki provides a tool that integrates grounding exercises with talk therapy. For example, I like to use a Reiki tool that allows clients to imagine whatever they want to rid themselves of as a shape with color, weight and texture. Once they have completely created their image, I ask them if they really want to release themselves from this (anxiety, resentment, depression, anger, etc.). They affirm this out loud. I then ask if they are willing to make the necessary changes to release their manifestation. Again, they affirm this out loud. These preparations for the actual Reiki healing resonate with cognitive behavior therapy and expressive therapies. Clients employ their senses in creating an image that captures their sensory experience of their perceived angst. They are then asked to affirm their desire for change and their desire to make the changes necessary to affect change. Following this setup, I prepare myself and energetically help clients excise the imagined object from their being. This is one of my favorite tools because it has led to great success with clients who just seem stuck and need additional clearing. Reiki is also a tool that clients can learn for their own personal use in self-care. 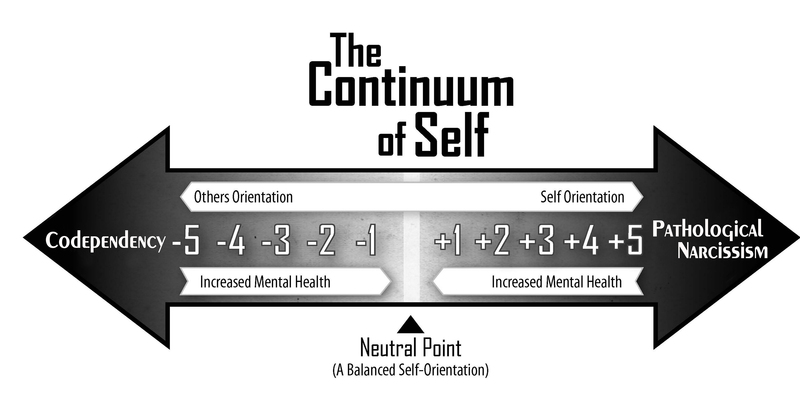 The tenets of counseling promote the empowerment and self-sufficiency of the client. Reiki promotes a practice of clients becoming more self-aware to their physiological and energetic needs and provides a means to address care and healing. A variety of universities, hospitals and organizations are conducting research to assess the efficacy of Reiki and touch therapies. The Center for Reiki Research (TCRR) uses a Touchstone Process of peer-reviewed consultation and analysis of current research projects. In a controlled experiment reviewed by TCRR, Ann Baldwin and colleagues were able to demonstrate that Reiki offered at a distance decreased the stress response in rats. This was indicated by a reduction in heart rate and a significant increase in the physiological indicators of relaxation state. Animal studies reduce the placebo bias previously suggested by critics. Ancient modalities appear to have wisdom to offer Western medicine. As mental health providers continue to seek ways to help clients with pain reduction and self-care, Reiki and touch therapies will be further explored. As a Karuna Reiki master practitioner, I have countless anecdotal experiences that speak to the effectiveness of Reiki. However, as a scholar-practitioner, I recognize the need for continued rigor in research as we discern the efficacy and standard of practice in the integration of Reiki and counseling practices. Cheryl Fisher is a licensed clinical professional counselor and a Karuna Reiki master in private practice in Annapolis, Maryland. In addition to her practice, she is a visiting full-time faculty in the pastoral counseling program for Loyola University Maryland. Contact her at Cyfisherphd@gmail.com. Chances are that an online review of a product or service has significantly influenced your decision to purchase something (or not purchase something) recently. In fact, one research study reports that 84 percent of Americans say online reviews influence such decisions (see www.saurageresearch.com/online-consumer-reviews-drive-sales/). Furthermore, 63 percent of customers say they are more likely to make purchases from a site that has user reviews (see mycommerce.com/blog/item/309-use-customer-reviews-to-drive-sales). Many marketing and research firms point to even negative reviews as a positive marketing opportunity. They suggest that the presence of negative reviews makes the reviews as a whole seem more realistic and believable. This opportunity can be especially beneficial if the business responds to negative reviews in a courteous and helpful manner. No data exists on how reviews influence consumers’ choice of a counselor, so we don’t know exactly how these findings translate to our field. What we do know is that such findings are pretty consistent across the board for other businesses. In addition, the presence of a business on sites such as Yelp, Google Places and others, along with corresponding reviews, has been shown to be beneficial in terms of search engine optimization. This can result in a business appearing more prominently in searches. If we stop there, it would seem to be a no-brainer for counselors to participate in review sites and post testimonials on their own websites. It is interesting to note that the second sentence was added in the 2014 revision of the ethics code. The summary is that counselors can use unsolicited testimonials as long as they have discussed the implications with the client and received his or her permission. This would seem to create a very narrow window of opportunity. First, a client has to offer a testimonial, completely unprompted, and then still agree to its public use after the counselor explains how this use might affect the client’s privacy. Here begins an interesting dance between advocating for client autonomy and ensuring that no harm is done. Following are just some of the questions that might come up when exploring this situation. 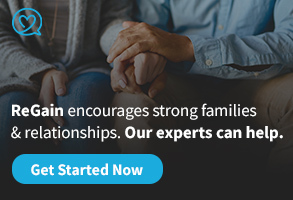 Is there any potential for harm, regardless of how minor, in asking the client if the testimonial can be placed online or in marketing materials? What is your responsibility for informed consent in this situation? Does the client understand the implications and potential ramifications of placing the testimonial online, even if the client’s name isn’t attached? If the testimonial is from one member of a couple or family you have worked with, how do the other family members feel about this? Should they not also be included in the informed consent? Do you or your business stand to truly gain anything from anonymous or anonymized testimonials? (I’m pretty certain that testimonials with real names attached to them carry much greater weight, although I wasn’t able to find conclusive data. For example, Amazon even goes so far as specially marking reviews from people who definitely purchased the product). How might the existence of testimonials affect other current and potential clients? Although we know reviews can be influential for many individuals, might the presence of these reviews also raise privacy concerns? Does any review or testimonial from one person truly represent how well you can establish rapport and an effective counseling relationship with another person, especially without revealing personal and confidential data? It is especially important to explore these questions before making your decision because the primary motivation for using testimonials is to benefit your business. Meanwhile, there is likely little identified benefit to the client. I’ll leave the exploration of ethics to the individual reader and instead focus on additional information and considerations, should the counselor decide to proceed with testimonials or need to address an online review. Lest counselors insist that they don’t utilize social media (“I don’t have a website, Facebook, Twitter or other accounts”), it should be noted that the presence of a business on social review sites isn’t always voluntary. With a site such as Yelp, any user wanting to write a review can add a business. Keely Kolmes has an excellent example of a social media policy available on her site at drkkolmes.com/social-media-policy/. Because we’re branching into reviews, let’s examine the two basic differences between testimonials and reviews. 1) Location: Testimonials typically will be presented by the business on its marketing materials (brochures, websites and so on). The business chooses which testimonials to use. Reviews, on the other hand, can be found on any number of websites that specifically offer reviews, on other social media sites such as Google Places, on blogs or even on someone’s Facebook wall. 2) Objectivity: Reviews are supposed to be objective opinions offered by customers. Reviews may be positive, negative or neutral. 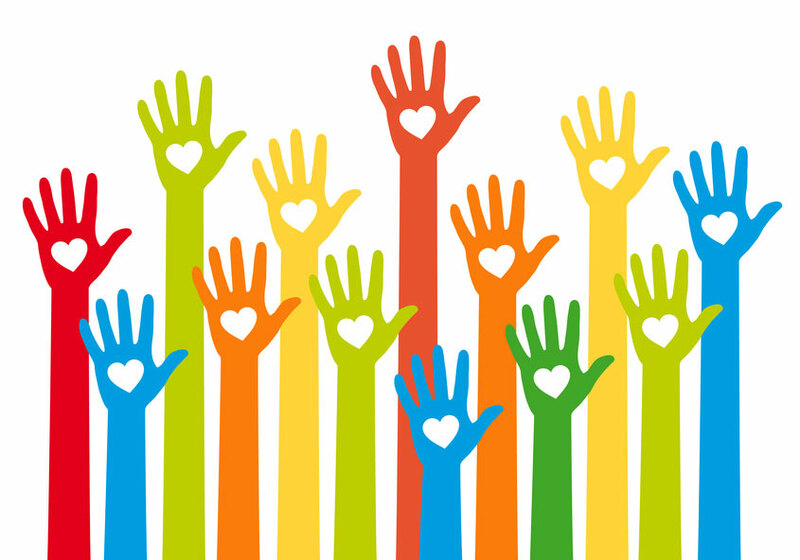 Testimonials tend to be hand-chosen, positive comments, often solicited for a specific purpose. Testimonials are a sales tool meant to highlight the benefits of the business, product or service. As it relates to the ACA Code of Ethics, there is essentially no difference between reviews and testimonials. They offer an equal likelihood of compromising confidentiality/privacy or causing harm. 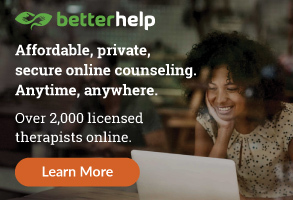 This calls into question whether a counseling practice should be listed on sites such as Yelp at all. Because such sites exist solely for the purpose of people reviewing businesses, couldn’t listing your business there equate to soliciting reviews? Regardless of your take on this question, we’ve already established that a business can end up listed on such sites involuntarily. So, given this gray area, how can counselors address reviews? 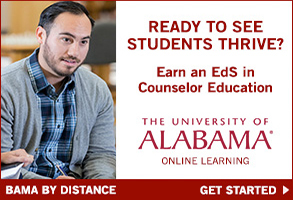 One way that I’ve seen counselors approach this issue is by seeking testimonials or reviews from other professionals. Nothing prevents us from soliciting such statements from colleagues and other professionals who are familiar with our work, in part because there are no privacy concerns to be addressed. Although there is some question about whether this is as effective as a review from someone who directly participated in counseling with you, it is likely to have some positive effect. When taking this approach, counselors should still clearly state what the relationship is between them and the person offering the testimonial. In particular, it should be abundantly evident that the reviewer is not a current or past client. Both for effectiveness and to avoid an ethical dilemma, it should also be clear from the description and testimonial why this other professional is able to speak to the counselor’s qualifications and abilities. Roy Huggins, a licensed professional counselor and my co-host on Therapy Tech With Rob and Roy, has a great example of such a statement for his Yelp account, which he modified from Kolmes’ template. 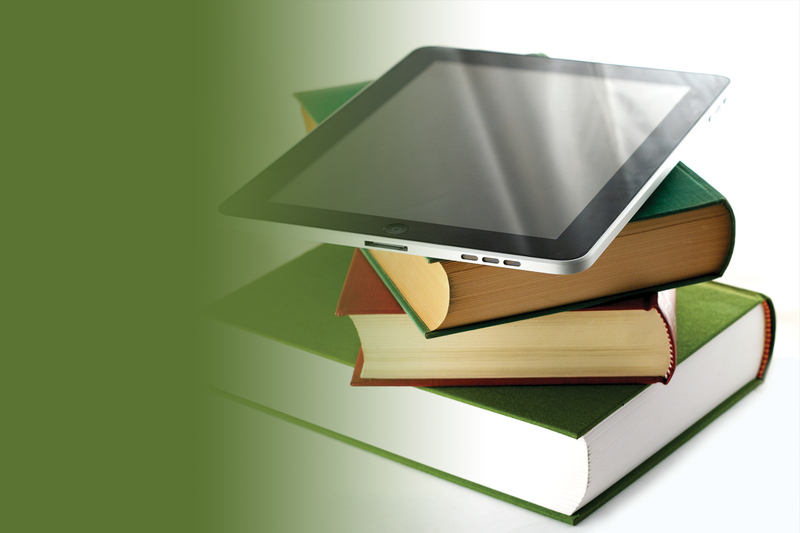 You can find a link to it and additional thoughts about the topic at http://bit.ly/1Fm6dbd. As each counselor considers how to approach this situation, note that a Nielsen poll recently determined that “recommendations from personal acquaintances [were] cited as the most trusted form of advertisement by U.S. Internet consumers (76%). Forty-nine percent said they trusted consumer opinions posted online.” So, although the Internet and social media continue to grow in importance in the marketing realm, they still lag behind the effectiveness of solid word-of-mouth advertising. I know I have clients who openly and gladly tell their friends, family members and acquaintances that they are working with me or have worked with me in the past. They are not concerned about keeping that information private or confidential, and I’m confident they would gladly offer a testimonial. So I don’t want to give the impression that this is an open-and-shut case against testimonials and reviews. I do think it is important, however, for counselors to think through all of the ramifications before going down that road. Rob Reinhardt, a licensed professional counselor supervisor, is a private practice and business consultant who helps counselors create and maintain efficient, successful private practices. Before becoming a professional counselor, he worked as a software developer and director of information technology. Contact him at rob@tameyourpractice.com. Coming on the heels of its successful annual conference and expo in March in Orlando, Florida, the American Counseling Association is turning its attention to another conference in a tropical locale. This one, however, will be across an ocean. Samuel T. Gladding will be among the small contingent of ACA leaders traveling to Singapore next month for ACA-APCC 2015. Gladding, a past president of ACA and a well-known counselor educator, will deliver the conference keynote address, but he says he’s equally eager to learn from the conference’s attendees. ACA-APCC 2015 will be ACA’s first conference in Singapore. The two-day event will be held at the Suntec Conference Centre in Suntec City. In addition to Gladding and Smith, ACA CEO Richard Yep, ACA President-elect Thelma Duffey and ACA Chief Professional Officer David Kaplan will attend on behalf of ACA. 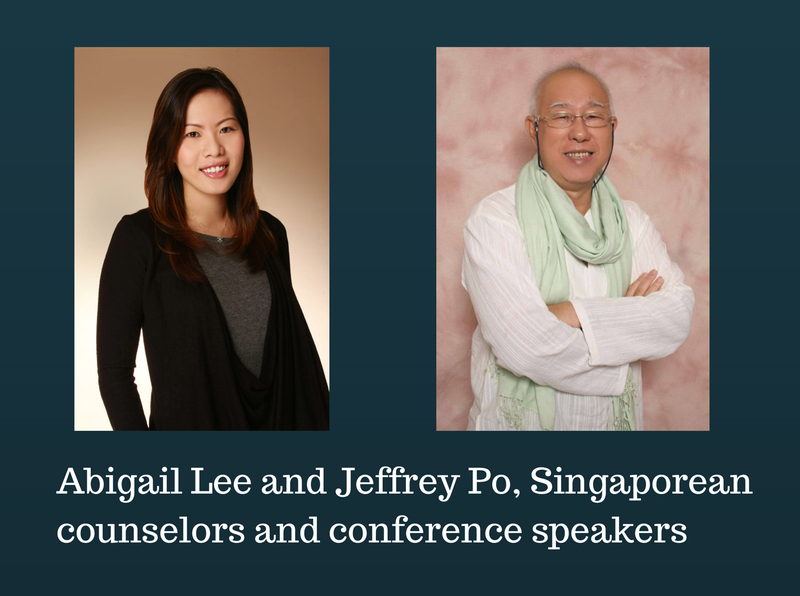 Po is founder and past president of the Association of Psychotherapists and Counsellors in Singapore; Lee is the association’s current vice president. ACA members have been involved in cross-cultural experiences, such as teaching or working abroad, for decades, Smith notes. He says the Singapore conference came together this year because the ACA leadership decided the time was right to organize an international conference. The theme of ACA-APCC 2015 is “Being an Effective and Resilient Counselor.” Gladding says his keynote will focus on the qualities of competent and effective counselors, and how these qualities stretch across cultures. “What do we share in our perspectives about what a counselor should be, and what can we learn from one another that transcends cultures and helps clients?” he asks. Gladding has previously spent time as a Fulbright specialist in China and has spoken at conferences, led workshops and worked closely with universities in Singapore, Malaysia and the Philippines. He notes that professional counseling is practiced and taught at the university level in more than 40 countries worldwide. Visit the website at aca-apcc2015.org for more information. I was raised with my mother telling me that the three things you were not supposed to discuss in polite company were religion, politics and money. Historically, counselors have also been hesitant to talk about religion or religious issues. This hesitancy is grounded in the profession’s belief in the separation of church and state and the idea that counselors should never impose their values on a client. Additionally, there is seldom training on how to ethically navigate these areas as practitioners. Consequently, when issues in counseling turn to religion or spirituality, many of us quickly suggest that clients should discuss such things with their pastors, rabbis, priests, imams or other religious leaders. But the old thinking that a client’s religious or spiritual issues must somehow be kept separate from the rest of counseling has changed, thanks in part to the 2014 ACA Code of Ethics and the ASERVIC Competencies for Addressing Spiritual and Religious Issues in Counseling. The ACA Code of Ethics requires counselors to practice within the boundaries of their competence, and counselors must be able to ethically and appropriately respond to spiritual needs presented by their clients. The Association for Spiritual, Ethical and Religious Values in Counseling’s (ASERVIC’s) spiritual competencies, revised and approved in 2009, have been endorsed by the American Counseling Association. The competencies complement and are consistent with the ACA Code of Ethics. Spiritual and religious beliefs are considered a part of the multicultural approach to counseling. In addition, they are relevant constructs of holistic philosophies that guide the counseling profession. 1) The professional counselor can describe the similarities and differences between spirituality and religion, including the basic beliefs of various spiritual systems, major world religions, agnosticism and atheism. 2) The professional counselor recognizes that the client’s beliefs (or absence of beliefs) about spirituality and/or religion are central to his or her worldview and can influence psychosocial functioning. 3) The professional counselor actively explores his or her own attitudes, beliefs and values about spirituality and/or religion. 4) The professional counselor continuously evaluates the influence of his or her own spiritual and/or religious beliefs and values on the client and the counseling process. 5) The professional counselor can identify the limits of his or her understanding of the client’s spiritual and/or religious perspective and is acquainted with religious and spiritual resources, including leaders, who can be avenues for consultation and to whom the counselor can refer. 6) The professional counselor can describe and apply various models of spiritual and/or religious development and their relationship to human development. 7) The professional counselor responds to client communications about spirituality and/or religion with acceptance and sensitivity. 8) The professional counselor uses spiritual and/or religious concepts that are consistent with the client’s spiritual and/or religious perspectives and that are acceptable to the client. 9) The professional counselor can recognize spiritual and/or religious themes in client communication and is able to address these with the client when they are therapeutically relevant. 10) During the intake and assessment processes, the professional counselor strives to understand a client’s spiritual and/or religious perspective by gathering information from the client and/or other sources. 12) The professional counselor sets goals with the client that are consistent with the client’s spiritual and/or religious perspectives. 13) The professional counselor is able to a) modify therapeutic techniques to include a client’s spiritual and/or religious perspectives and b) utilize spiritual and/or religious practices as techniques when appropriate and acceptable to a client’s viewpoint. 14) The professional counselor can therapeutically apply theory and current research supporting the inclusion of a client’s spiritual and/or religious perspectives and practices. In 2009, Jennifer R. Curry published an article in the Journal of Creativity in Mental Health regarding the use of spiritual timelines with clients in counseling. She and Stephanie Dailey developed a lesson plan to expand the use of spiritual timelines to address counselor competency and to explore our own values, beliefs and attitudes about spirituality and religion. Their spiritual timeline activity assists clinicians and counselor educators in this exploration. 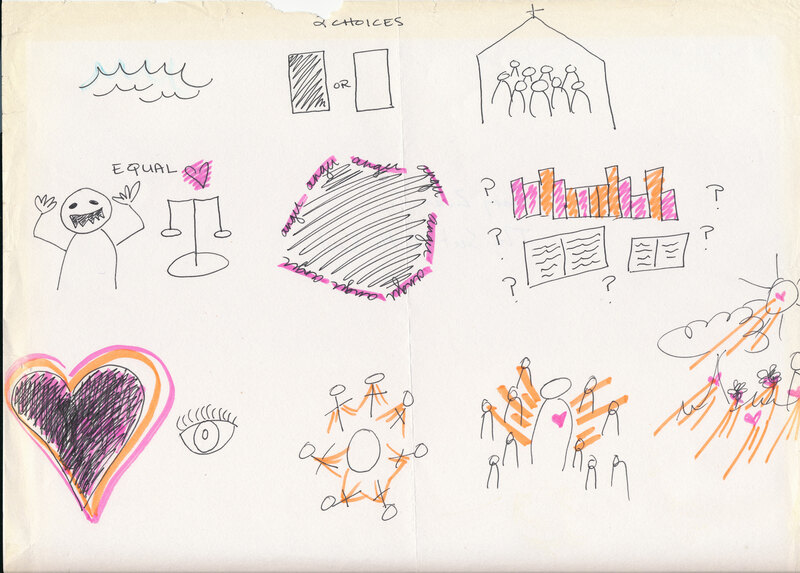 The activity involves an experiential component of developing a drawing and an accompanying narrative to highlight critical events, defining moments, developmental crises and other experiences that have contributed to spiritual development or challenged spiritual assumptions and beliefs. The goal is for professional counselors to become effective at addressing client spirituality issues by first becoming aware of their own. When addressing spirituality in the classroom, I asked master’s-level counseling students to engage in the spiritual timeline activity. In addition, at the 2014 ACA Conference in Honolulu, I facilitated the activity for attendees at a professional presentation. 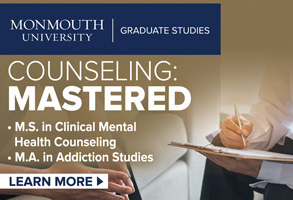 I found that the spiritual timeline narratives were deeply personal for both the students and professional counselors and informed much of their own framework of working with clients. 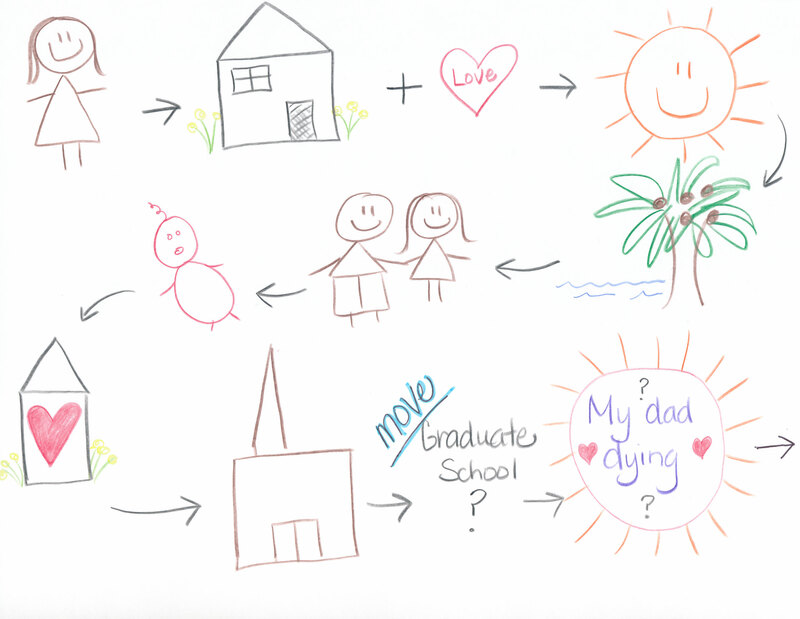 The following examples of three narratives and drawings demonstrate how this spiritual timeline activity contributes to awareness, competency and working more effectively with clients. 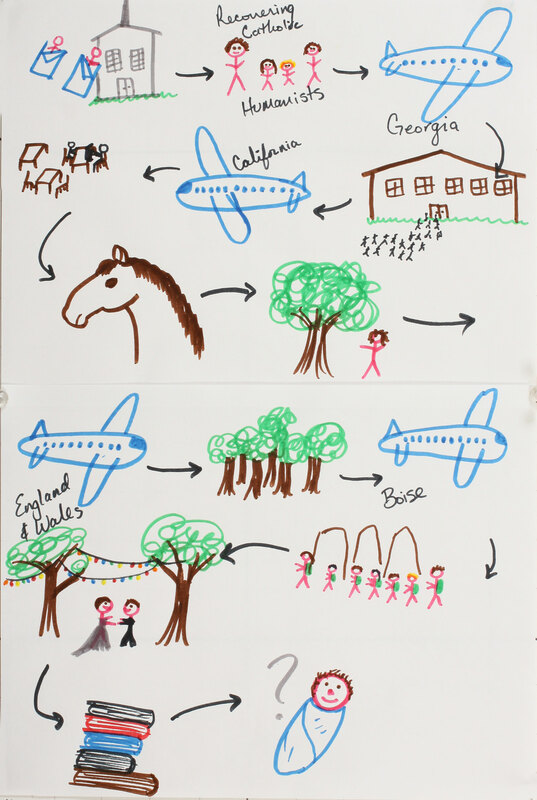 The timeline in Drawing 1 (above) belongs to Dorinda. Initially, she didn’t believe this activity would apply to her at all because she did not identify as religious. She has since expanded her view and now sees herself as a deeply spiritual person and clinician. The numbers in her narrative correspond with the figures in her spiritual timeline. 1) When I was a kid, we lived on the West Coast. My family did not go to church. My brother and I would sometimes attend church with friends if we spent the night at their house. 2) I remember talking with my mom about what religion we were. My dad was not raised in any religion, and my mom described herself as a “recovering Catholic.” My mom said that we were best described as humanists and believed in the good in other people. 3) We moved to a Southern state when I was in middle school. The move was a big culture shock. Religion was never a big issue where we used to live, but in this community, it seemed like people categorized others by what church they attended. 4) I went to church a few times with a girl of the same age who was my neighbor. They attended a megachurch, and I did not like the service. There was a lack of community, and we didn’t talk with anyone else; just went for the service and left right away. 5) My whole family was relieved when we moved back to the West Coast when I was a freshman in high school. When we were visiting the area to look at houses, we went to a café for breakfast on Sunday morning. Everyone was very casual and looked like they had just rolled out of bed and came down for coffee. We felt much more at home here where people were “real.” In the Southern state, we had known women who had never let their husbands see them without makeup. 6) I rode horses and spent a lot of time at the barn working and riding. My favorite times were early in the morning when I was alone with the horses as the sun was rising. It was so peaceful, quiet … almost spiritual. 7) When I was a teenager and young adult, I spent a lot of time outdoors and in nature. I enjoyed going for hikes alone or with friends. When I was upset, I would always go out in nature and usually to the beach. 8) My husband and I moved to Wales and then England after graduating from college. I was really depressed during this time and realized how important friends, family and a sense of belonging are to my well-being. 9) While living in England, I started working at a woodland organization teaching children. 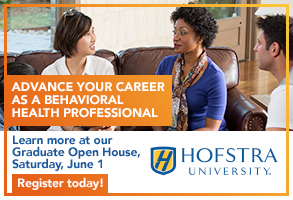 This was the first step in a slow process of moving toward a career in counseling. 10) We moved to Boise, Idaho, seven years ago, sight unseen. This was a big leap for us, and we ended up loving the city and found a great community of friends. 11) For two and a half years, I worked as an instructor in wilderness therapy. Some of my most peaceful and spiritual moments have been spent alone contemplating my life in the desert. 12) When my husband and I got married, neither of us had any close ties to religious traditions. Instead, we spent a lot of time researching different wedding ceremonies and ended up creating our own. We asked a friend to officiate, and she helped us come up with a beautiful ceremony that was much more spiritual than either of us would have created on our own but was so perfectly us. 13) Being in grad school for my master’s in counseling has been a spiritual journey on its own. I have spent a lot of time re-examining my own values and beliefs and creating a stronger core in myself. 14) The next step for me is thinking about having kids. I have been thinking a lot about how I was raised and how I might want to parent and raise my own kids in the future. After engaging in this activity, Dorinda initially focused on using the spiritual timeline as an intervention when working with clients. As her counselor identity developed, she would bring questions about client spirituality into sessions to broaden the client’s perspective of how unique spirituality can be for each individual. She started observing how clients’ beliefs about spirituality contributed to the underlying themes in counseling sessions and how those beliefs and themes were interwoven into clients’ counseling journeys. Dorinda now also believes that this timeline activity has facilitated an awareness of spirituality in her own life, including what aspects of spirituality are important and continue to develop in her, and how those aspects affect her work as a professional counselor. 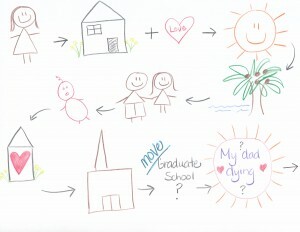 Drawing 2 (above) is a spiritual timeline by Madeline. Before engaging in the timeline activity, Madeline saw spirituality and religion as the same thing. She now separates the two and feels very comfortable broaching the topic of religion and spirituality with clients. The reference for each picture is labeled in parentheses with an accompanying age and brief description. Madeline was raised with a strong religious and spiritual belief system that has changed as a result of significant events in her life. (Water, 4) — One of my first memories is a religious one. I was getting baptized in our church. I remember being scared of how long I would be underwater and remember knowing my parents were proud of me. (Two Choices, Black or White, 4-12) — Growing up, there was always a right and a wrong for everything, per the Bible, and no gray. It made life simple and easy to understand. (Church with lots of people, 13-18) — My social life in my teenage years was focused around church. I was a youth leader and very passionate about my faith. (Equal Monster & Scale, 18-19) — In college, something bad happened to me despite the fact that I was doing everything “right.” I questioned how God could love the person who did that to me equally as much as He loved me. I did not want to participate in a religion where this was the case. (Anger, 19-20) — I went through a period of being angry with God and at myself for believing in Him. (Books & Questions, 20-24) — I decided I did not want to blindly believe in something again and began to research all of the religions in order to find one that made sense to me. (Heart & Eye, 24-27) — I began to try and live my life using my mind and my heart, trying to balance the two. (People affect one another, 27-30) — I realized that everyone affects one another through different types of energy. We are connected. (My heart and energy affecting others, 30-32) — The realization that I can effect positive outcomes in others through using my heart and energy. This became my truth. (Energy and love is in nature as well, 33 to present) — My truth extended to feeing the energy and love that is in nature and feeling connected to it. Since completing her spiritual timeline, Madeline has found herself more comfortable discussing her own spirituality as well as embracing the topic with clients. For her, the spiritual timeline was a verbal and visual way for her to process and solidify her own personal journey and conclusions regarding her spirituality. Madeline has expressed more confidence and acceptance within herself and believes this leads her to feel at ease in discussing religious and spiritual issues with her clients. Susan (see timeline above) was raised in a home with strong religious and spiritual beliefs that she continues to maintain. Susan feels very comfortable working with spiritual and religious issues with clients from varying backgrounds and belief systems. She said that knowing her own values and beliefs has helped her work with clients. She also recognizes that this is not the same for everyone. Girl: This is me as a child. I am happy. House: This represents the foundation for my spiritual development. Home is where I learned about myself and my role in the world. My spiritual beginnings/awareness began in my childhood home as my parents taught me important values. This is where I was first taught about families, forgiveness and service. I was also taught about prayer and a Heavenly Father who loved me, was aware of me and had a plan for me. Heart: This is connected to my home — notice the plus sign. I feel love is the foundation for all my spiritual growth. As a child, I was shown love in my home and taught to love others. Love is what underlies so much of my spiritual beliefs. Sun: This represents “The Son” or Jesus Christ for me. It is a central part of my spirituality. My belief in a Savior is what drives me to be a good person. My belief of love and family are connected to my belief in Christ. Coconut Tree: This represents my college days. I was about 18-19, and I felt like I needed to find out for myself about the religion I was taught growing up. I felt like I couldn’t continue to say it was all true unless I knew for myself. This time in my life I did a lot of Scripture study and prayer. I came to know for myself that what I had been taught — that is, the faith of my fathers — was true for me also. The couple: This represents my marriage. Baby: This represents our first child. My spirituality increased as I became a mother. To hold a new baby and recognize the awesome responsibility I now had as a mom. The miracle of it all. The connection of love and family. Home with heart: This represents my efforts at making our home a place of love. A place where spirituality can grow. A place where my children can learn how to pray and receive their own answers. A place where my family can learn the important values I learned as a child. Church: This represents a place of continued learning and opportunities to serve others. My church is very important to me and has been my whole life. It is a place to expand on what I already know. It is a place to continue to feel and recognize love and truth. It is also a place to be with others who share similar beliefs. Moving/graduate school: This has been a few challenging years for me. I went through several months of depression after moving to a new state. My children were starting to leave home. Baby No. 1 got married. I felt like things were changing for me. My decision to go to graduate school was made after much thought and prayer. I felt like Heavenly Father was guiding me toward this. I felt an answer to my prayers that this is part of some plan for me. At times throughout graduate school, I have felt that other students viewed spirituality as stifling or oppressive. Sometimes I have had to examine my own beliefs. I have come to recognize my beliefs and my spirituality as a great benefit/advantage over someone without beliefs. Sun (Son)/my dad dying/hearts/question marks: This represents a difficult time but a powerful time spiritually for me. In my second year of graduate school, my dad was dying. I knew he was going to die. I recognized the truth in my heart when I prayed. I didn’t want to lose this man who taught me all about love and family. A man who served selflessly and taught me by his example. A man who was central to my spiritual growth. His death was one of the most spiritual things I have ever witnessed or felt. My beliefs of love and family and a Heavenly Father were actually strengthened during this time. His dying also brought up questions about the afterlife. I knew what I believed, but now it was being put to the test. His death has continued to expand my growth spiritually. What’s next: I know that my spiritual growth will continue. I welcome what may come. I am who I am because of my spirituality. It is fair to say that my spirituality is stronger as difficulties come. Through the spiritual timeline activity, Susan became more aware of her own spiritual journey. She found that she had often failed to recognize the changes and growth in her life, especially when she was in the midst of a challenge. This activity helped her gain that awareness. Looking back on her timeline, Susan was able to recognize how some of the most challenging things in her life promoted the greatest amount of spiritual growth for her. Susan says that now she recognizes how spiritual and religious values are different for each person. She does not feel afraid of incorporating client spiritual and religious beliefs into sessions. The three emergent or professional counselors who have shared their timelines are from different backgrounds and have different beliefs regarding spirituality and religion. Dorinda was raised with humanistic values and beliefs and initially did not think this exercise on religion and spirituality applied to her. Madeline came from a family with strong ties to religion. However, she has moved away from those ties to develop her own set of values and beliefs around spiritual and religious issues. Susan maintains the religious and spiritual beliefs from her family of origin and continues to grow and develop within those beliefs. It has been valuable for each of these counselors to understand their own beliefs. As a result, all three feel comfortable and competent when addressing issues in counseling with a client from any religious or spiritual background. It is important to understand how a client’s worldview and psychosocial functioning are influenced by his or her beliefs or absence of beliefs surrounding spirituality and religion. As ethical and competent professional counselors, we are required to explore our own attitudes, beliefs and values about spirituality and religion and continually evaluate how these things influence our work with clients and the counseling process. Lynn Bohecker is a postdoctoral fellow at the Idaho State University Center for Health Research and will be a senior lecturer for Messiah College in the fall. 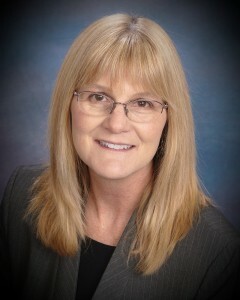 She received a 2014 ASERVIC research grant to conduct research on the use of spiritual timelines in counselor education. Contact her at bohelynn@isu.edu.